One of iconic bags of the fashion house, Louis Vuitton Noe bag was first introduced in 1932 when a champagne house contacted Louis Vuitton to make a bag that could hold 5 bottles of champagne. Today, the Louis Vuitton Noe bag would still serve this function perfectly: 4 bottles with the bottle down and the 5th bottle inverted and nestled between others. Though this bottle carrying purpose has hardly been fulfilled nowadays… Beloved by many, the Louis Vuitton Noe bag is primarily used as a practical city bag for every day use. Currently retail price for Louis Vuitton Noe bag is $1,290. If you fancy a classic Louis Vuitton Noe bag on your shoulder & the idea of SAVING $940, read on. At Bags of Charm, we will be changing specials On Sale section from time to time. Each month in 2013 we’ll feature a different iconic designer bag. For now, we have a fabulous authentic Louis Vuitton Noe bag, the largest size in Louis Vuitton Noe family, gently used with no major signs of wear for only $350. 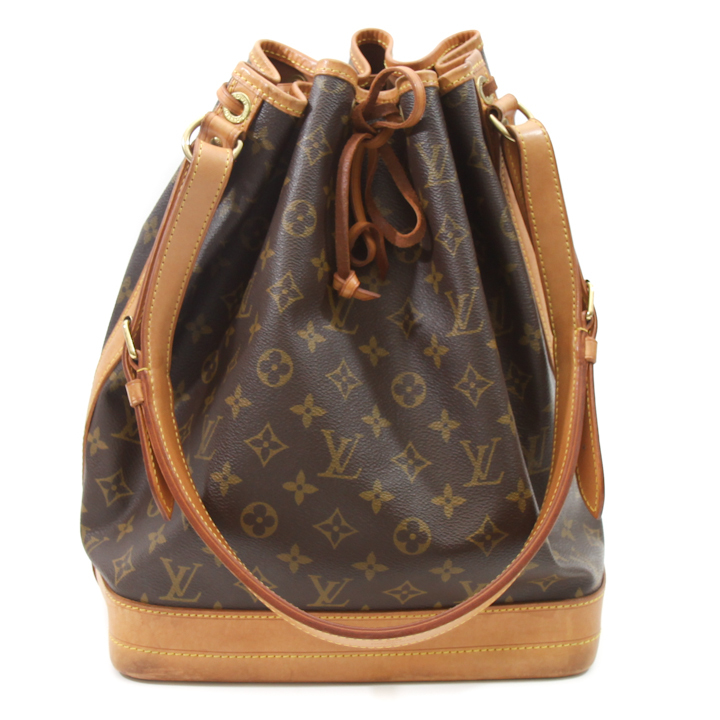 The super special price of this Louis Vuitton Noe bag is valid until the end of January. Wait to see what’s in store for February :)!